At Carol’s home, you will sleep in the arms of the Seine, as this magnificient accommodation is located on Saint Louis Island. From English origin, Carol is such a sweet hostess who has lived in Paris for more than 10 years. 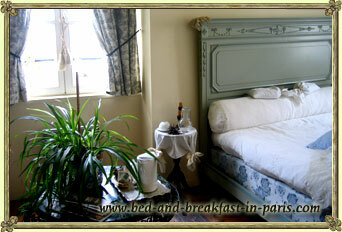 You will love her breakfasts which, even if they remain French, are of great diversity and exquisite refinement. You will have at your disposal a double room and a bedroom with two beds with a private shower room and private entry. At the times mentioned, every night gives you a reduction of 20 € (2 people).